Home Off Beat	Creepy x-ray tattoo! Getting a fetus tattooed was something novel kinda, a tattoo conveying some silent message, none the less it was admirable. 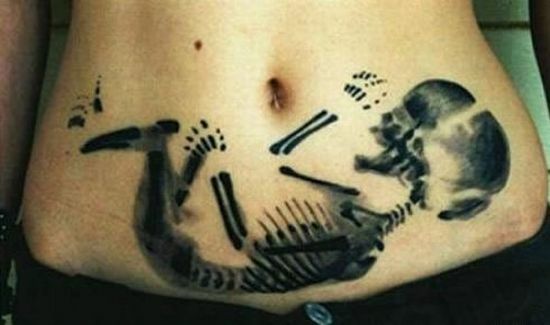 Hereâ someone who got x-ray of the baby (yet to be born) inked on the stomach. This indeed is creepy! What say?